NPR devotes almost six minutes of airtime to Mexico City’s innovative new gondola. Ski Areas of New York members to host six free lift maintenance trainings this summer across the state. Jay Peak made $9 million this year, Burke Mountain lost almost $2 million and $4.9 million in tram upgrades are underway with completion scheduled for next month. Follow along with Moving Parts|A Tram Story. Unfortunate winch cable accident sends Peruvian chair to the ground at Snowbird. Friends of Squaw Mountain, Maine get ~$2.4 million quote from Skytrac to replace a base-to-summit Stadeli double, which has not operated since 2004. 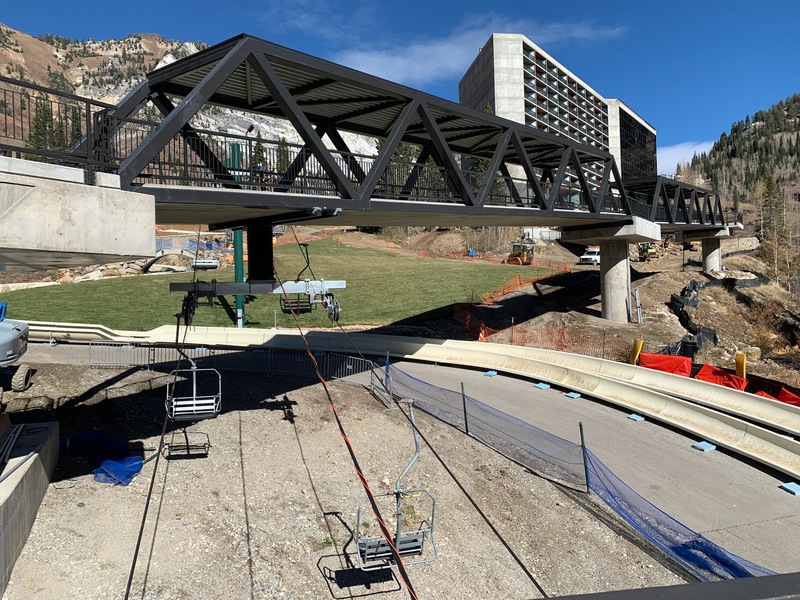 Follow this thread for sweet construction photos from the world’s largest urban gondola network. Crews load test the new Gatlinburg Sky Lift. Cool to see non-galvanized EJ chairs with wood slats! Anakeesta’s lift is not far behind. Noting plans to “definitively enter the US market,” LST Ropeways is hiring a design engineer. New York State Fair gondola may not happen. Blacktail Mountain is for sale for $3.5 million. Brian Jorgenson tells Skytrac why lift installation is his favorite kind of flying. Here are the full specs for Leitner’s new station and Sigma’s new Diamond Evo cabin. Apex Mountain Resort sells to new ownership group eyeing capital investments. New D-Line six-pack in Ischgl will cost a whopping $13.1 million.